According to NTSB data compiled and analyzed by the NBC Bay Area Investigative Unit, unapproved aviation parts played a role in nearly two dozen crashes that killed seven and injured 18 others since 2010. The Federal Aviation Administration logged at least 135 different instances of unapproved parts found in airplanes, including commercial passenger jets, in the last five years. The fatal crash statistics do not include the fatal crash of San Francisco Dr. Ken Gottlieb back in August 2009. National Transportation Safety Board investigators officially ruled that pilot confusion caused the accident in a Napa vineyard shortly after takeoff from Napa County Airport. Nine months after Gottlieb’s Cessna 182 crashed, NTSB investigators officially ruled that “loss of situational awareness” caused the accident. But Gottlieb’s widow and the rest of his family didn’t believe the evidence added up to pilot error. 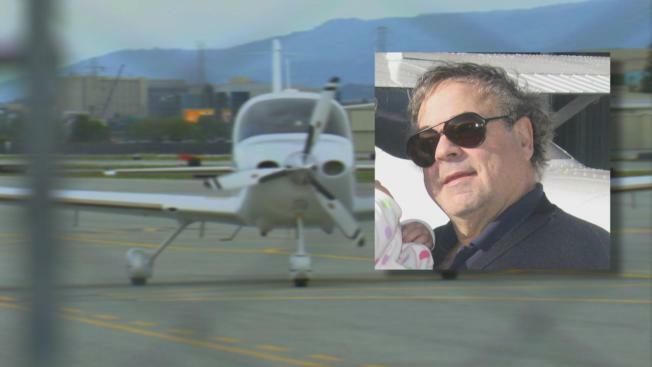 They knew the 67-year-old was an experienced cross country pilot with more than 1,000 hours of flying. Gottlieb also completed training in situational awareness issues shortly before the crash. That’s why the family hired aviation safety attorney Mike Danko, of Redwood Shores, to dig further. Danko’s forensic research uncovered that it wasn’t pilot error that caused the crash but rather an unsafe, unapproved airplane part. Danko found the seat track release for the pilot’s seat was recently installed by a local mechanic. However, the part had no accompanying FAA documentation or certification. Danko suspects the faulty seat track release failed, causing the pilot seat to move out of control. “In an airplane, what happens is when you take off, the nose points up. So if that seat slips back you’ve got a big problem because you can’t reach the controls,” Danko said. In February 2015, a San Mateo civil jury agreed with Danko’s findings, ruling that the mechanic who installed the unapproved seat part should pay Gottlieb’s family $13.36 million. In the aviation industry, every piece of an aircraft is critical. That’s why the FAA heavily regulates aircraft parts to ensure they can withstand the stressful conditions while flying thousands of feet above ground. But the NBC Bay Area Investigative Unit learned, bogus parts can still slip through the cracks, creating a serious safety risk for the flying public. FAA records obtained by NBC Bay Area through a Freedom of Information Act (FOIA) request show 135 cases of unapproved parts since 2011 in both general aviation and commercial aircrafts. The records come from FAA’s National Tracking and Reporting System. The FAA says very few of its unapproved parts investigations result in an unsafe condition. Retired FAA inspector Ken Gardner knows the seriousness of unapproved parts as well as anyone in the industry. Gardner helped run the FAA’s suspected unapproved parts (SUP) program beginning in the 1990s and continues to serve as a consultant on criminal investigations involving unapproved parts. He’s an expert on SUP, working for JDA Aviation Technology Solutions, based in Bethesda, Maryland. Simply put, Gardner says unapproved parts are cheaper. That’s why Gardner believes there’s a financial incentive for some repair shops and aviation mechanics to purchase cheap parts and manufacturers to create unapproved counterfeit parts. Certified and approved parts must go through rigorous testing and inspection to make sure they don’t fail, which can drive up costs. So how do dangerous or unapproved parts find their way onboard planes? NBC Bay Area’s Investigative Unit purchased airplane parts for sale over the internet from online parts dealers. The team bought everything from O rings to an engine piston pin, to an electronic decoder panel that previously failed in a commercial DC-10 aircraft, according to a yellow tag ticket that was provided with the part. History records for the part also show another person subsequently signed off on the part, saying he couldn’t find a problem, and it could be put back into a DC-10. Some of the parts we purchased claimed to be FAA approved and provided an FAA form 8130-3 documenting the part is safe and airworthy. While other parts, including an engine piston, did not provide any documentation at all. Gardner says he would be concerned putting these parts in any plane without verification they are safe. “It could fail while you’re flying over the Atlantic,” Gardner said. Gardner estimated that the electronic decoder panel can sell new for more than a $1,000. We purchased it online for $60. “That really needs to be investigated,” Gardner said. Gale Gottlieb says she is now speaking out about this issue to make sure everyone knows what can happen when an unapproved part, even a seemingly insignificant one, is put into an airplane. “How can I make sure this doesn't happen again is the main thing that constantly goes through your mind. And when I look at his pictures, all I can think about is this didn't have to happen," she said. The airplane mechanic who worked on Ken Gottlieb’s pilot seat still works in the area and still has his license. He could not be reached via email, through a website or by telephone for comment. In its statement, the FAA acknowledged unapproved parts create a safety problem but says these parts only represent a tiny fraction of the hundreds of millions of aviation products. A spokesman said they will charge someone criminally if they can prove they intentionally put an unapproved part in an airplane. Mechanics or companies caught putting an unapproved part in an airplane can also face a fine of up to $32,140 per violation.